Once upon a time, there lived a young forester. He spent all his time worrying about the beasts and birds of the forest – he nursed injured animals and fed those who were hungry. One day, a group of poachers arrived in the forest and shot a deer and its young. The forester chased after the poachers, and was stabbed by one of them in the struggle. The forester fell to the ground, covered in blood. 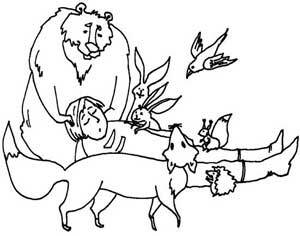 The forest animals came running to help their wounded friend, starting to lick clean his wounds. The dying man's heart began to beat again, and the colour returned to his cheeks. The crow flew away, and the other animals began to wash the forester's wounds with spring water and cover them with medicinal plants. Soon the crow returned, carrying several shiny brown fruits. The bird fed the fruits to the young man. Each day, the crow brought some of the miraculous fruits for his friend. The forester soon recovered from his injuries, thanked his forest friends and set off for the mountains in search of the miracle tree. The crow showed him the way, and soon the forester found himself before a tall tree with feathery leaves, covered with bunches of brown berries. “What is your name, magic tree?” asked the young man respectfully. “I am a date palm, and my fruits are known as dates. The sun and the earth fill them with so much sweetness, that a handful can replace any meal. It is a pity that there is nobody to look after me,” answered the tree. “I will make my home here and grow new date palms,” decided the forester. The forester was surprised by this strange request, but obeyed and opened his mouth. The princess carefully studied the forester's mouth. The forester reached for his bag of dates. “Eat one of these natural sweets (dates), and your teeth will grow stronger,” he suggested. 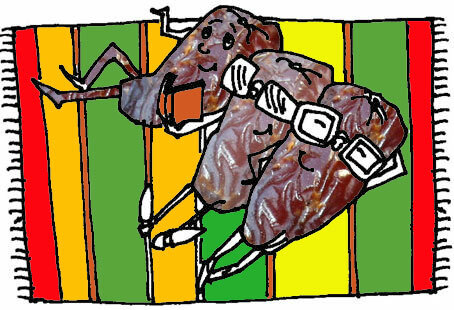 “Mmm… I have never tasted anything so sweet before!” exclaimed the princess with joy after trying one of the dates. Soon the king decreed that sweets could only be made from dates, honey and nuts. Children took great delight in the new sweets, and their parents were pleased too. 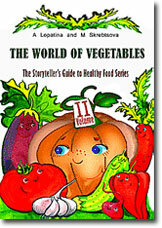 Their children could eat as many sweets as they liked, and their teeth remained healthy.